Cat Fences - Pet Stop - Dog Fence Installation and Service, Pet Stop Invisible fences in sonoma, Marin, Napa, East bay and the Peninsula. Are you looking to contain your cat? We'd love to help whether it's an Indoor or Outdoor solution we have the experience and technology to meet your cats needs. Pet Stop offers features that are perfect for cats. Cats are smaller, so it is important that the receiver be small and light. It is of equal importance that the installation be done carefully so that cats don't escape from the yard by climbing trees or sheds. Cats are unique and require a different type of pet fence training than dogs. 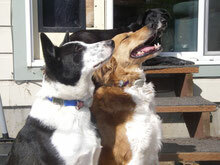 We have found a proven successful way to train and contain cats to Pet Stop pet fence system. Wouldn't you like to give your cat the freedom of a Pet Stop cat fence? 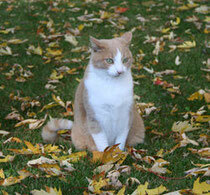 Check out some of our cat fence testimonials to see what our cat fence customers have to say. 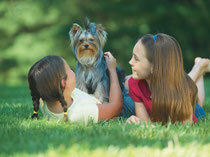 We will keep your pet safe in your yard. UltraElite collar - Great for small dogs.